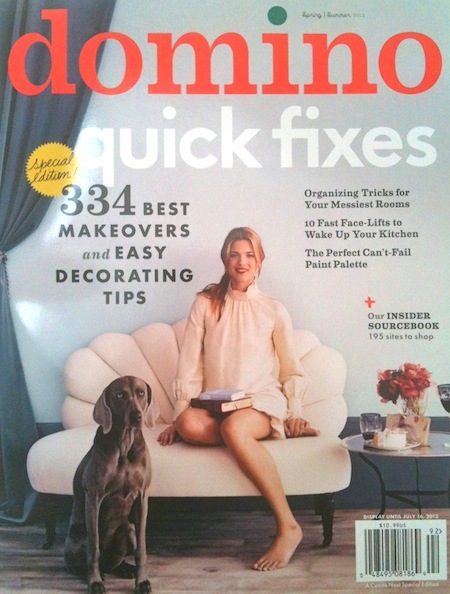 Domino magazine is back on the newsstands this week-although it's just for a special issue! I hope the Quick Fixes is as amazing as the magazine used to be-it is by far my all time favorite home decor and style pub. Yesterday I bought the last issue on the stands at a local bookstore but haven't had a chance to dig in yet. Pretty interesting that it was sold out in a small town-which makes me wonder if they printed enough! To those that have read it...are you happy with the new issue...did it inspire like the magazine did?